The Bradley sectional is a large plush comfy sectional, with plenty of room for your entire family. The Bradley is an oversized sectional and proudly made in the USA. 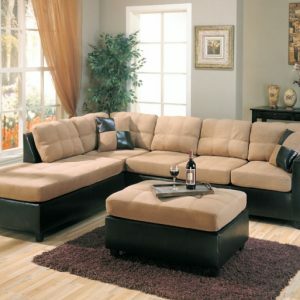 This beautiful plushy sectional is available in camel color. A matching ottoman is also available to complete the perfect look.